Keystone's Pinned System units including Verazzo, are appropriate for a variety of applications—tall, short, critical and noncritical walls, since reinforcement can be used. Keystone's Country Manor walls evoke the Old World charm of a mason-crafted wall. Country Manor is appropriate for free-standing walls as well as tall, short, critical and non-critical walls. 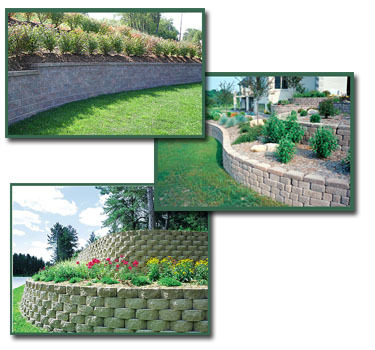 Lincoln Way Landscape Supply has a variety of Retaining Wall Systems for you to choose from.